It does Blank Space a disservice to call it a "hip-hop club": It is so much more to so many people. 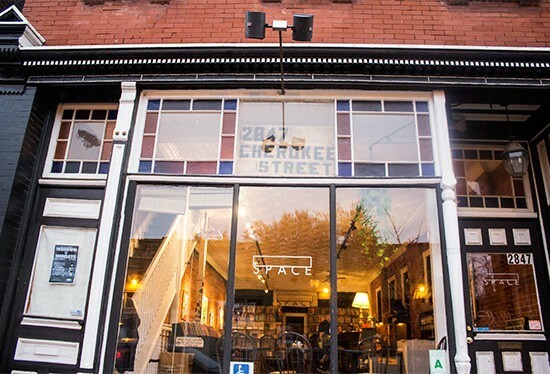 Nevertheless, the Cherokee Street venue has become the St. Louis hip-hop scene's premier spot. For years Blank Space has played host to regular DJ nights — including the all-vinyl monthly event Bump & Hustle, which celebrated its three-year anniversary in July — and innumerable underground hip-hop events. St. Louis' DJ MAKossa and DJ Needles (the founders of B&H) are among the many local stalwarts who host shows here: Tef Poe, Nick Menn, the MME collective, Mathias and the Pirates, Thelonious Kryptonite and many others regularly perform. Blank Space was founded as an open-ended experiment deliberately lacking curatorial oversight — a mission that remains firmly in place — but over the years it has morphed into a venue the St. Louis underground hip-hop community can proudly call home. 2847 Cherokee Street, St. Louis, 63118. 314-300-8831, www.facebook.com/lugarenblanco.